The decision could derail multi-million-dollar research projects such as the Sirius synchrotron. Researchers in Brazil are up in arms after President Jair Bolsonaro’s government announced late last month that it had frozen 42% of the budget for the country's science and communications ministry (MCTIC). The decision is especially painful because the science ministry was already struggling with a budget that was among its lowest in 14 years. Brazil’s congress approved 5.1 billion reais (US$1.45 billion) for the MCTIC in 2019; the freeze, announced on 29 March, leaves the ministry with just 2.9 billion reais for the rest of this year. Unless government officials release some of the frozen funds, agencies within the MCTIC, such as the National Council for Scientific and Technological Development (CNPq) ― Brazil’s main research funding agency ― could run out of cash as early as July. The government tried to slash the MCTIC's budget by 44% in 2017, but it restored some of the money later that year. It is not yet clear how the freeze will affect each of the MCTIC’s agencies and its 16 federal research institutes. 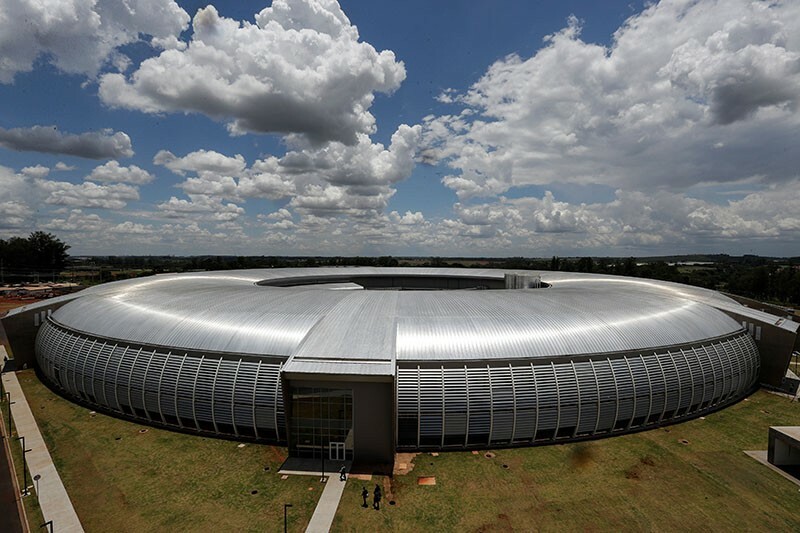 But the government did announce a nearly 80% funding freeze on 29 March for the ministry’s spending on infrastructure — including its new Sirius synchrotron facility in Campinas, which physicists hope to use to study the structure of matter. Scientists are on edge, fearing delayed projects, wasted research efforts, loss of competitiveness and a brain drain. Workers managed to complete construction of the Sirius synchrotron's main building and two of its three accelerators last year, and researchers were planning to start experiments later this year, says Antonio Roque da Silva, the project’s director. The facility will cost Brazil 1.8 billion reais over 8 years, making it the country’s most expensive science project. Ronald Shellard, director of the Brazilian Center for Research in Physics (CBPF) in Rio de Janeiro, fears for Brazil’s ability to honour international commitments. The CBPF is part of 20 international science collaborations, including the Large Hadron Collider near Geneva, Switzerland — and the Pierre Auger Observatory, a cosmic-ray observatory in Malargüe, Argentina. Brazil’s main federal science funding agency was already in trouble before the latest budget freeze. Congress had slashed the CNPq’s scholarship budget for undergraduate and graduate students, which funds 80,000 awards, from 959 million reais in 2018 to 785 million reais in 2019. The CNPq also started this year 300 million reais in debt. If things remain as they are, the money for scholarships will only last through September, says the agency’s president, João Filgueiras de Azevedo. But even if the CNPq could meet its scholarship commitments, “there’s no money for research grants”, says Luiz Davidovich, a physicist at the Federal University of Rio de Janeiro and president of the Brazilian Science Academy. Davidovich is worried about the impact of Brazil’s ongoing funding crisis on young researchers. “Our best and brightest are leaving the country,” he says. He’s been getting an increasing number of requests for letters of recommendation from graduate students and young researchers who are planning to move abroad. A constitutional amendment limits growth in government spending to what is needed to keep up with inflation, meaning that a return to pre-2014 budget levels — before the science ministry’s funding started its free fall — is unlikely. Bolsonaro, Brazil’s far-right president who took office in January, has pledged to increase spending on research and development from 1% to 3% of the country’s gross domestic product. He has also appointed Brazil’s only astronaut, Marcos Pontes, as his science minister. But Bolsonaro’s economic minister, Paulo Guedes, is a neoliberal hardliner who is pushing to shrink the size of Brazil’s government in order to boost the economy.